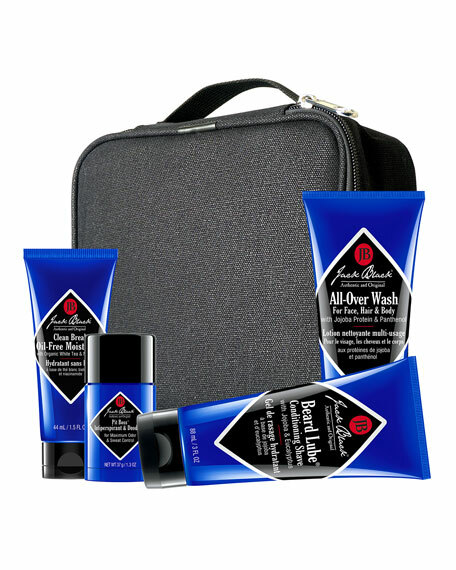 TSA-approved essentials ensure your regimen doesn't suffer on the road. A $63 value! Clean Break® Oil-Free Moisturizer: To use, apply a nickel-size amount of Clean Break Oil-Free Moisturizer on clean face and neck. 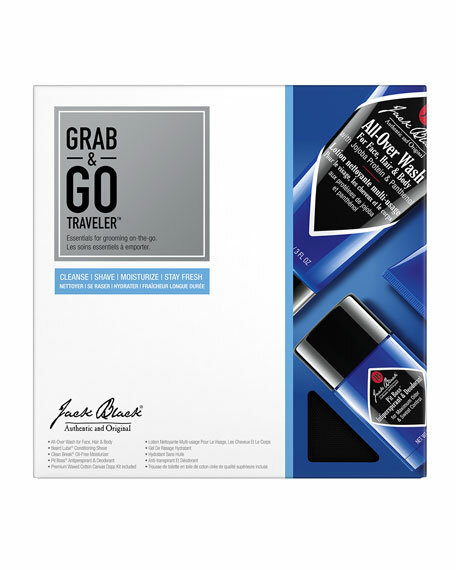 Use morning and night for lightweight moisturization with a natural, shine-free finish. Beard Lube® Conditioning Shave: Work a quarter-sized amount into your slightly moist beard every time you shavein the shower, or immediately after showering. Beard Lube® has built-in moisture, so you don't need a lot of water. All-Over Wash for Face, Hair & Body: Generously lather on body, hair and face; rinse. Use daily in the shower as an all-over facial cleanser, body wash and conditioning hair shampoo. For external use only. Avoid eye contact. If product enters eyes, rinse with water.